She found solace in her normalcy. Then the Grifters found her, the MTA saved her, and she realized one harsh truth. If the MTA can't save Kara, no one can. Second in command under Leader, academy no. 4's commanding officer juggles the responsibilities of his rank with his position as instructor over the A-level cadets. Fresh from primary school and not yet acquainted with the academy's rigorous schedule, the A cadets pose a challenge to any instructor. Sheedy, naturally patient, enjoys the challenge his students present. Although Sheedy studied the teaching field as his vocation, his superior fighting abilities earned him a post-grad career as a MTA agent. 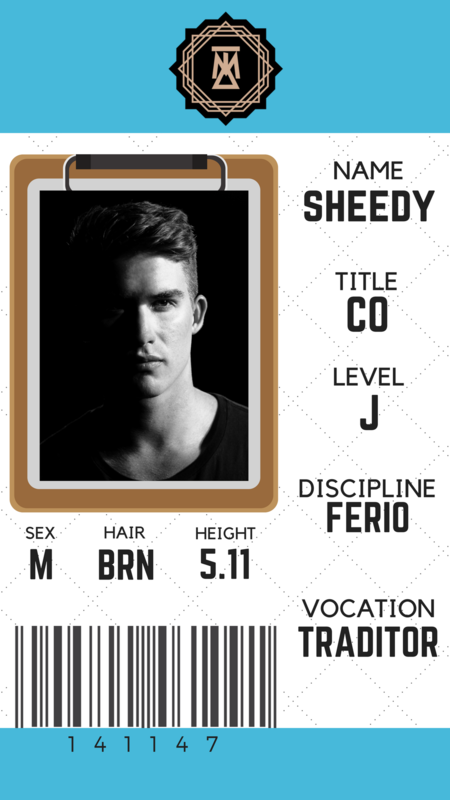 Sheedy is one of the few cadets to excel all the way to level J at age fifteen. Doing the right and necessary thing - that is fairness. Doing whatever I please, simply because I'm given the choice - that is selfishness." From an early age, Burnette showed promise with her telekinesis. Once at the training academy, she grew into a natural animo, master of telekinesis. This quickly led to her acceptance into the MTA's sniper program. MTA snipers, after rigorous training, learn to telekinetically control a bullet's trajectory to ensure it reaches its target. 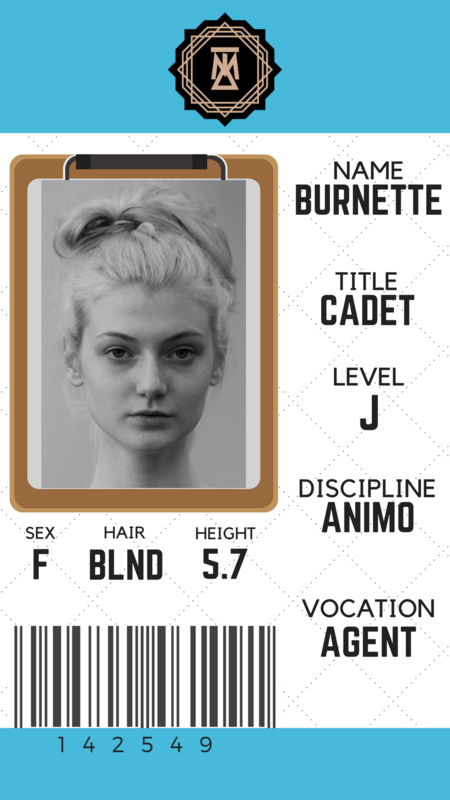 Former training partner of Sheedy, Burnette differs from the CO in her quick judgment and willingness to bend the rules, if deemed necessary. 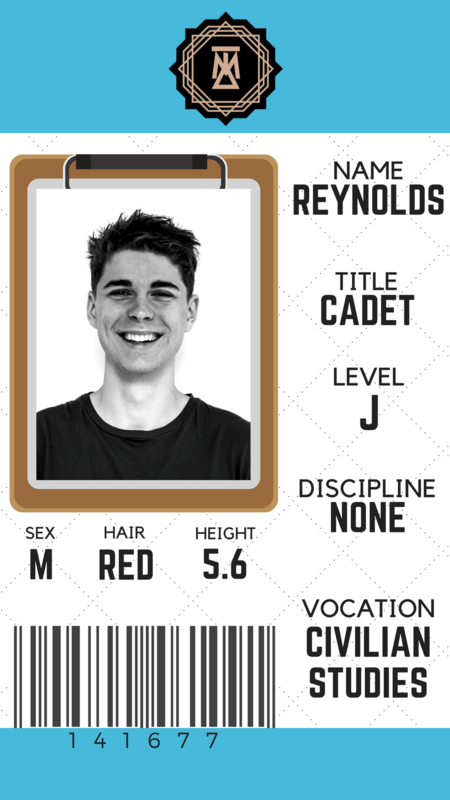 Reynolds is a rare find among MTA cadets. His natural curiosity led him to Civilian Studies, through which cadets learn the niceties of civilian life. Over the course of his education, Reynolds has mastered 18 foreign languages, as well as the more nuanced language of normalcy. Where his fellow cadets come off as stringent and formal, Reynolds has an easier time with friendly conversation. This enables him to empathize more with civilians. His post-grad career will likely be that of ambassador between the MTA and the civilian world. Does MTA seem weird to you?" ​Though training partner of Reynolds since primary school, McFarland keeps her questions to herself and would rather monitor than speak. She is a staunch defender of rules and has no difficulty proving her capabilities. As a ferio, master of hand-to-hand combat, McFarland faces challenges directly. This hard worker never shies away from getting the job done. You might need him, but that doesn't mean the rest of us rely on support." If McFarland is seen arguing, one can be fairly certain that Vires instigated it. This lanky cadet is towering in more than his height. As academy no. 4's only clavio, Vires has enough self-assurance to humble the most confident meta. He takes pride in his less common discipline. While his peers pursue telekinesis and hand-to-hand combat, Vires wields a staff nearly as tall as he is. 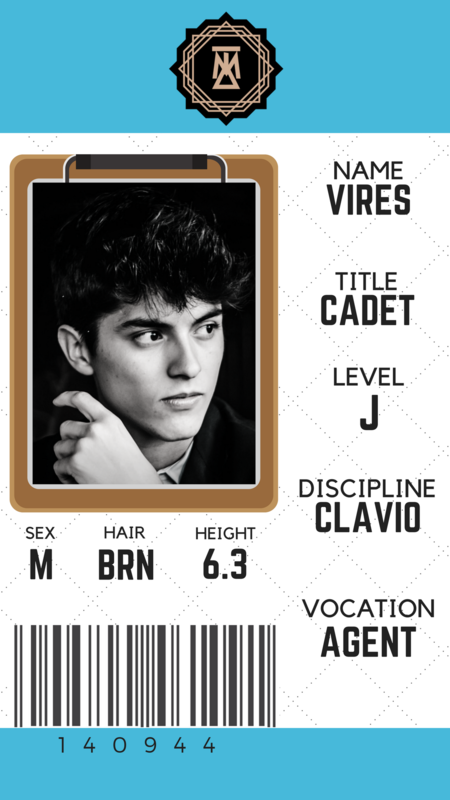 Vires might defend cadets in battle, but he's quick to point out their flaws in the classroom. The simplest way for you to learn is by watching someone who knows what he's doing." Burnette's training partner after Sheedy had much to prove, but Koleman's never backed down from a challenge. 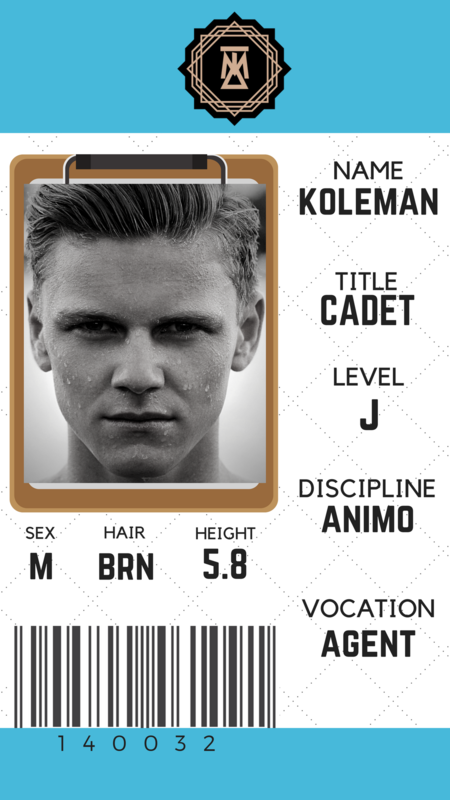 An animo like his partner, Koleman enjoys the power of aiming a rifle and controlling its discharge. He'll do his job because he has to, but Koleman would rather not be burdened by civilians who can't take care of themselves. Tact has never been his preference, nor has safety. The bloodier a battle, the more satisfied Koleman is. 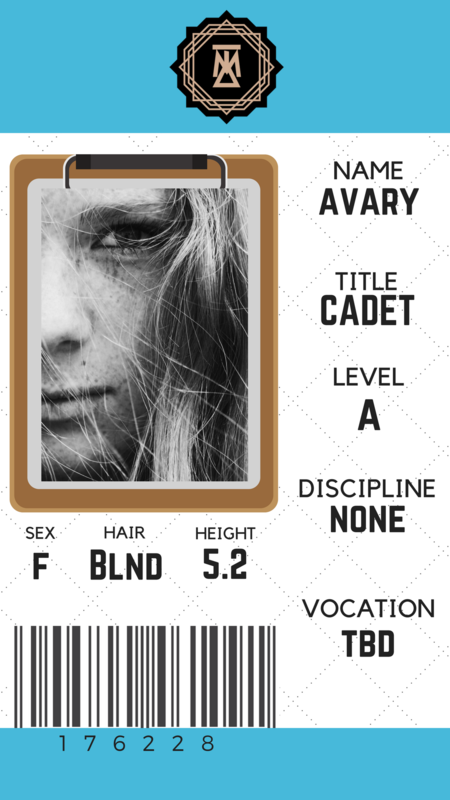 Young Avary is an outlier among the bold, domineering cadets. One of Sheedy's A-level students, Avary has yet to graduate to level B, despite having taken the final exam twice. 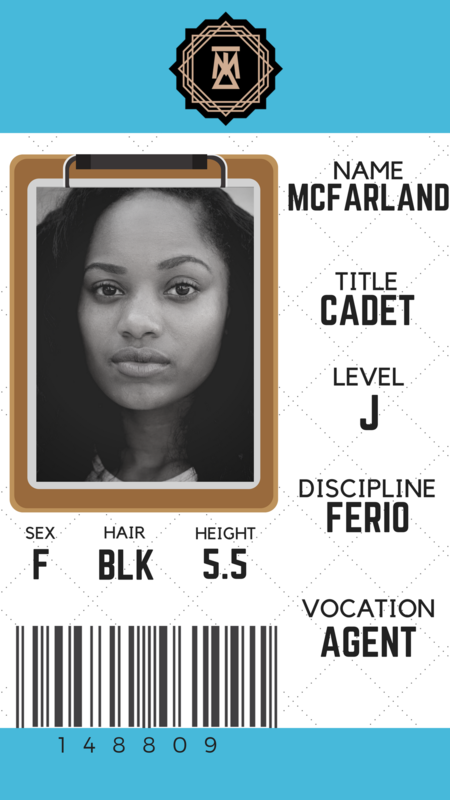 Thus far, she's the oldest A cadet in MTA history. While her metahuman abilities might exceed those of a civilian, within the MTA they earn her no respect. Too timid to ask for help, Avary is determined to prove her worth slowly but surely. I'm not... I'm not as afraid as I used to be."